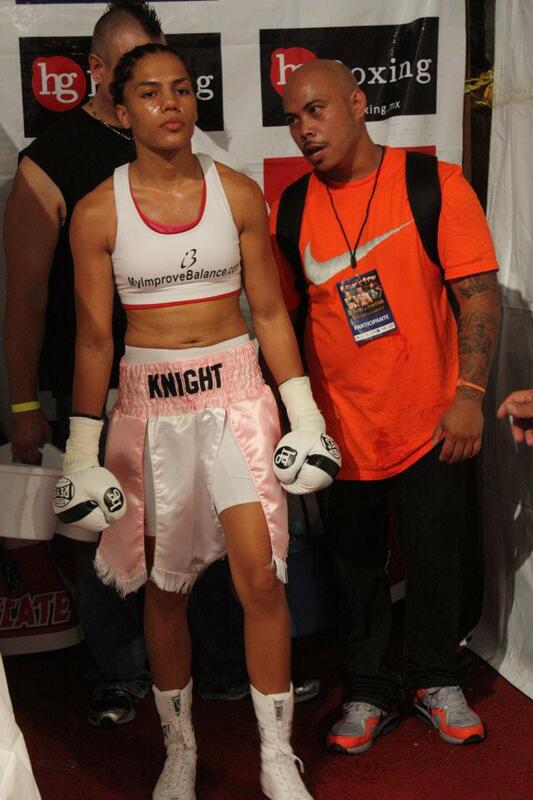 The Official Website of Professional Boxer Ava Knight. MYBOXINGFANS.COM THANK YOU FOR ALL YOUR GREAT ARTICLES! After the trials and tribulations that go hand-in-hand when embarking on a female boxing career, newly crowned champion 23-year-old Ava “Lady of Boxing” Knight (7-1-3 4KOs) has hurdled the obstacles and reached the pinnacle of the sport by scooping up former champion Arely “Amatralladora” Mucino’s (14-1-1, 8KOs) IBF Flyweight strap in scintillating fashion via 2nd round KO in Colima, Mexico nearly two weeks ago. This was the Chico, Californian’s second world title bid — coming up short against Ana Maria Torres in 2009 for the WBC Super Flyweight belt — and the “Lady of Boxing” crossed the border into Mexico prepared for a short night of fist-a-cuffs. Knight, a 112 pound champion, has fought as high as bantamweight, 118, and low as junior flyweight, 108. Often bouncing around the division’s because as a woman gladiator on the rise that’s just what you have to do if you want to ply your trade on a regular basis. In 2009 when Knight traveled to Mexicali, Baja California, Mexico to unsuccessfully challenge for Ana Maria Torres’ super flyweight title in a spirited effort, Ava was less than impressed by the way she was treated by those hosting the event in the boxing rich country. There were failures by the organizers to notify Team Knight on issues of importance and the “Lady of Boxing” felt she was disrespected and placed under bad conditions. In a recent piece by Ryan Maquinana of BoxingScene — “Ava Knight on Her Shock KO of Arely Mucino, IBF Title Win” — he points out that Knight is now among an elite list of NorCal world champions. Stars like WBC/WBO Bantamweight boss Nonito Donaire, WBA Super Middleweight champ Andre Ward, WBA/WBO Interim Lightweight titlist Robert Guerrero and WBO Female Jr. Featherweight kingpin Ana Julaton. Upon query about what it feels like to be part of that group of stars, Knight was less than shy about where she feels she stands. Ava has had an uphill battle trying to entice top fighters into the ring opposite her and I asked if she thought her new trinket would change that struggle. Imploring on whether she had a hit list, this is what the IBF Flyweight queen had to say. When I touched on whether Knight wanted to unify against the other two champions in her division — Mariana Juarez (WBC) and Susi Kentikian (WBA/WBO) — her answer spoke volumes as to who she is as a fighter. Ava Knight is still seeking a promotional company to call her home and with her impressive victory on the 29th to capture the world title, these outfits ought to take notice and discontinue missing out on this diamond in the rough.